What is V. Uspaskich up to now? "Everything is created, all you have to do is start working" - says MEP (Member of the European Parliament) Viktor Uspaskich to LRT.lt, who recently announced the establishment of the Association "For a healthy and united Europe" and fuelled talks that he is preparing to return to the politics of Lithuania. The MEP himself revealed his plans but those who plan to go with him don't fully understand them, LRT.lt reported. 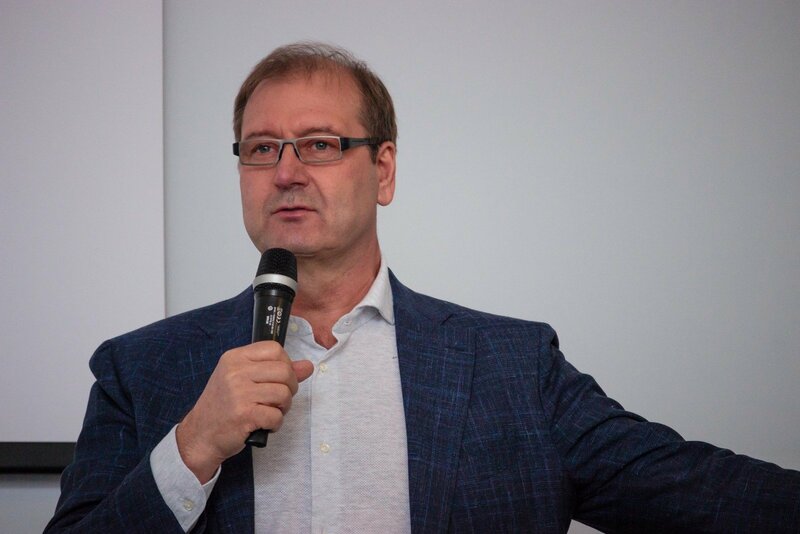 V. Uspaskich returned to Lithuania and came to Kaunas at the end of April offered to take down the leadership of the Labour Party and create an association "For a unified and healthy Europe". While in Kaunas V. Uspaskich said that the European Union (EU) countries have a lot of these associations. V. Uspaskich, also assured that the association is created not on the basis of the Labour Party and the Conservatives or Social democrats can also join it. What did V. Uspaskich come up with? When talking to LRT.lt, the politician assured that everything has already been created and all we have to do is start working, to register the association. "This is a serious organization. Now I am negotiating with Liberals and Democrats Alliance for Europe group in the European Parliament because our values ​​match. The association will unite those, who want to see a united Europe, to promote and spread peaceful solutions to conflicts. We made various communication agreements with similar organizations in other EU countries we'll urge country leaders talk about less militaristic feelings and invite more to meetings and communicate "said V. Uspaskich. The association, according to V. Uspaskich, urges to live a healthy, green lifestyle. "Healthy not just to avoid pollution in nature or in the streets but also other people's brains. It's a serious matter. And I graduated in that direction, I'm very interested in it. The key thinks are ecological living and ecological thinking" said the politician. When LRT.lt asked, for what elections he's preparing, V. Uspaskich said: "You see what you're interested in. Other things always interest you. Isn't anything else interesting enough to write about? The association itself won't take part in the elections and there's no desire to do so. But we will definitely create projects, program provisions, which we will propose to be implemented by Government officials and political parties. This requires a legal framework and support. I myself don't drink, smoke and I eat healthy, and so I want to offer that to others. I have solved a lot of problems this way." According to V. Uspaskich, the association will create at least 15 programs. "This is a program of preparing eco-thinking leaders, self-knowledge and world creation, one about overcoming addictions. Our government "struggles" with alcohol but they won't achieve anything because there are many effective programs that can help solve this problem. For example, I drank for 30 years. I didn't become an alcoholic. [...] It is now three years since I drank any. A healthy diet, fitness program, spiritual education program, rhetoric's education program..." named V. Uspaskich. He said that he had visited 23 districts and had nearly full halls. "There's a huge need for knowledge in Lithuania. If there's a need, I will create a centre, I already opened one in Russia, there are about 15 programs, therapy sessions, seminars, lectures and consultations are happening there" said the politician. V. Uspaskich assured LRT.lt that he has no intention to go into the Parliament, it's unclear what would have to happen for him to do so. "And I am a politician now, a MEP. After reading my book people became interested in my ideas and began to study the values. This is a good thing and the politicians should do if we want to have a healthier, a more ecologic land, country, and nation. First of all, the politicians have to lead by example and stop drinking and get rid of bad habits, talk nicely" continued V. Uspaskich. He criticized the Lithuanian Peasant and Greens Union ambitions to sober up the nation, as the bans will not achieve anything and won't have any positive results. In addition, the Farmers are allegedly talking about environmentally friendly business. Prime Minister Saulius Skvernelis looks neat, honest and patriotic to V. Uspaskich but it's unclear if he's competent. "A lot of people here have high ratings much, even the President. So what? Midway through the second term, a million people have left, the economy didn't rise, and poverty has increased. And still all the people praise her, what will you do then? The PM's actions have to speak for themselves but so far they don't" said V. Uspaskich. 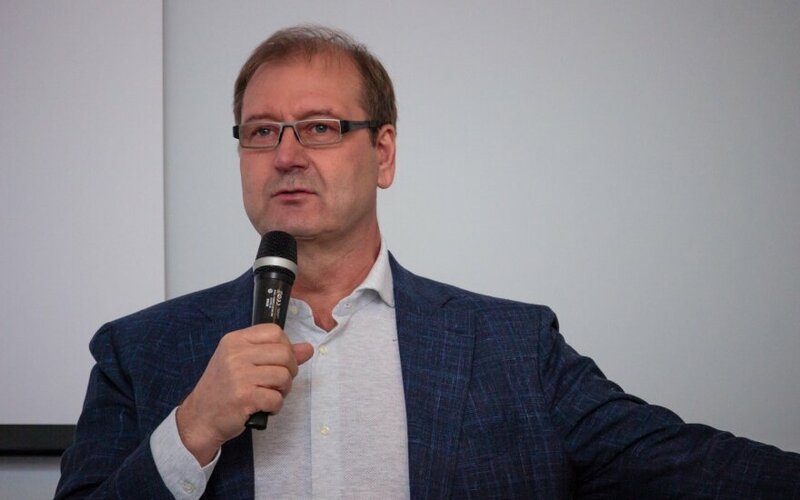 Valentinas Mazuronis, the MEP and former Labour Party leader, also took part in the Kaunas meeting and said the he missed the positions of the political association. "V. Uspaskich invited people, gave his views and vision. The establishment of the Association is more like a creation of an active social organizations. The main principles are a united and healthy Europe, development of leaders, and so on. During the discussion, a question arose from the ones who came from the Labour Party divisions regarding the future of the party. Now, the legal process should be developed and the association should be registered" said V. Mazuronis to LRT.lt. When LRT.lt asked whether V. Uspaskich and the company want to repeat the success of "United Kaunas" V. Mazuronis said: "I's hard to tell. Today there were no talks in Kaunas about the fact that the association will be created as a political one, although "United Kaunas" is not a political organization, I think that, the political organization is the election committee "United Kaunas", which takes part in the elections. So far, there are talks about involving socially active people and looking for solutions and answers, and political objectives weren't mentioned during the meeting. V. Mazuronis states that the thoughts and topics that were offered by V. Uspaskich for discussion are interesting. However, V. Mazuronis says that he missed a clearer political explanation. V. Mazuronis links his future with political activities. "It will be more clear when there will be talks about the registration of the association. I find these ideas interesting ideas, but only time will tel about my participation or non-participation." said the MEP. According to V. Mazuronis, a number of previous and current members of the Labour Party should join, who were in the meeting. "But as I understood, the further it's not only going to be on the basis of the Labour Party. It will be those people, who will find these ideas and thoughts acceptable" said the politician. Lauras Bielinis, a political scientist and professor at Vytautas Magnus, believe that the return of V. Uspaskich to policy in Lithuania won't be as bright as it was at the start of his political career. "I think that his time has passed and political magic has dispersed. I'm not sure if he will be able to draw in the Labour Party" thought L. Bielinis. According to the political scientist, V. Uspaskich's place was taken by Farmers, the voters are looking at Ramūnas Karbauskis and S. Skvernelis. "V. Uspaskich could take a place but it would be small and it's not acceptable for him. [...] I think that what V. Uspaskich did was for him and not the party, politics or the state. He had his own business and was having a good time. And he had too much fun. Now he has nothing to do or is tired of being in the European Parliament, where it's hard to get a word in. Maybe he wants more attention" continued L. Bielinis. VMU professor is sure that the Labour Party won't be an influential political force anymore. It will exist as a political structure but will continue to lose influence. According to L. Bielinis, V. Uspaskich might just be talking, he's not preparing for the elections but reality can be different. But his return to politics is complicated and won't give him victories as before. Maybe he's creating a certain structure that would allow him to intervene in our political, social and cultural life and it's his way to control it, to benefit one way or another" said the political scientist. Moreover, Vladas Gaidys, who is the sociologist and head of the opinion and market research firm "Vilmorus" says that the ratings start growing as soon as V. Uspaskich appears in the media. "When in 2003 the Labour Party was established, Parliament's website has recorded in how many TV shows did each member of the Parliament participated in. It was an obvious correlation that could be calculated: the more V. Uspaskich was invited, the more the ratings of a politician increased. I was asked by journalists how to explain the rise of his ratings. I asked, why are they inviting him and journalists said that there the rating of the shows was increasing. V. Uspaskich was created by the media. We'll have V. Uspaskich, if the media revives him again. Now he's different: a psychologist, mind doctor, talk quite interestingly. But its popularity is determined first by the media and then by the people" said the sociologist. According to "Vilmorus" director, V. Uspaskich right now is not ranked because he's not the party leader.